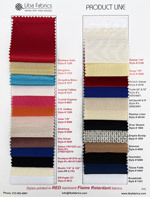 Liba Fabrics recently updated its entire catalog of fabrics. 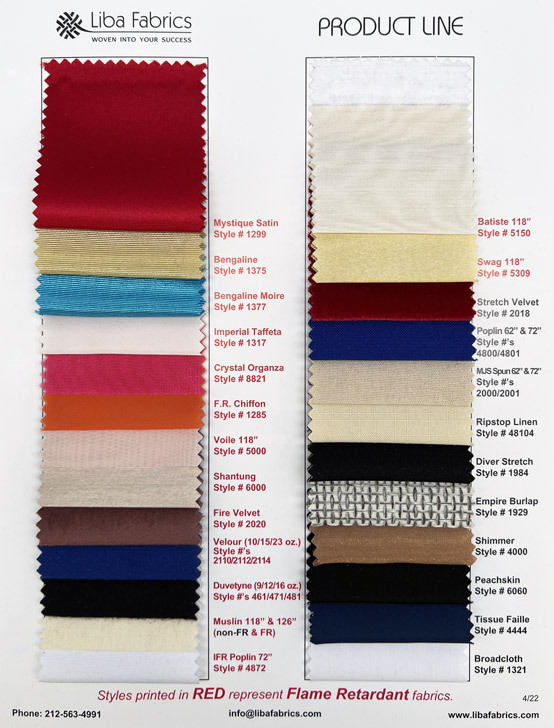 We now present to you a Fabric Sample Card with samples of all Liba's Individual Fabrics (FR or IFR Fabrics are Bolded in Red). Now you can see and feel all of Liba's Individual Fabrics on one card.